With only her gut, an ex-con, and Julie’s estranged daughter to help search for clues, Audrey starts the search of her life for a woman who has vanished like the fog. Erin’s first two solo novels, Never Let You Go and The Promises She Keeps have received wide acclaim for their exquisite imagery, deep characters, and suspense. 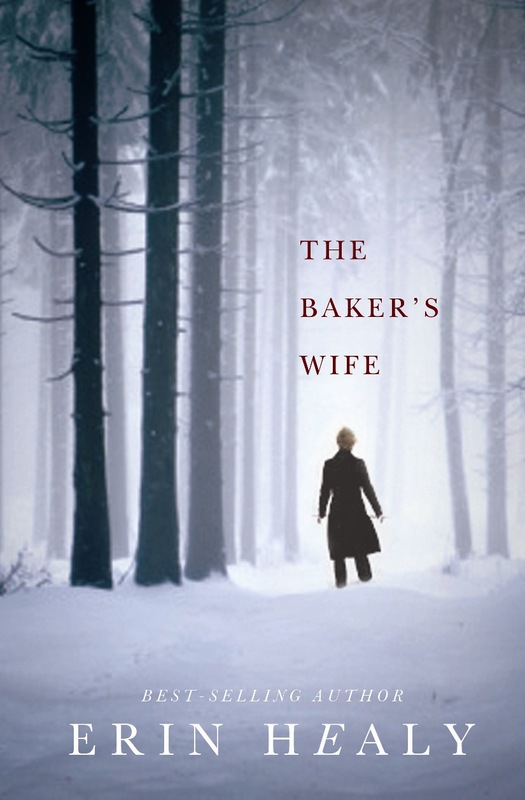 With her new novel, The Baker’s Wife, Erin does nothing less than that. In fact, she ups the ante with all of these and adds a little bit of mystery in there to boot. The imagery is fascinating and draws you into the story. I could see the bakery and the apartment above it. I could see the accident and the fog. I could see the mangled scooter and the blood. Erin has crafted amazing characters whom I never got bored with. I never groaned when it was a character’s turn to be the star of the chapter which I have done with other novels in the past– not Erin’s course. While I liked all of the characters in the story, there was one that absolutely jumped off the page at me. And that was the antagonist of this tale, Jack Mansfield. Jack is the best villain that Erin has ever crafted. Yes, he surpasses Ward(en), Craven, Norman Von Ruden, and even Porta. I recommend this great novel everyone! Erin has made an even better name for herself with which I believe to be the greatest Erin Healy novel to date! Next Have You Read The Hunger Games? Great review Evan- I sooo look forward to this book. It looks as if Erin has done it again..exciting! Thanks, Cheryl! I am sure you won’t be disappointed! And, yes, she has most definitely done it again! Come back and tell me what you think of it when you read it! I would love to know what you think! Great book! I have added this to my list of favorites. It is interesting throughout the whole book and I couldn’t put it down. I read almost the whole thing in 1 sitting! I’m a little more than halfway through this one now. So far, so good! Glad to hear it, Rachel! Tell me what you think of it when you are finished!